I will help prepare you with all of your Cancer Control Awareness Month Products! There is never any need to pre-pay, which makes it easy for any grant program or organization to order products for cancer awareness. Let us take care of your promotional products to educate the public on cancer awareness and control! Please see the product catalog for our full line of promotional products in the "Products" link above. Click USA MADE under the "Products" list to see all of the products actually MADE, not assembled in the USA so you can support our local american factories! I have listed some popular products our customers have purchased specifically for Cancer Awareness Control Month below. Click any of the products for detailed information and to order today! Check out all of our other cancer prevention products by viewing our product catalog at the top of the page! These are just a few popular cancer prevention products we carry! Every Bedroom Needs a Working Smoke Alarm!" Early Detection Breast Cancer Awareness-Tips on prevention and treatment of breast cancer, including information on exams and mammograms.This is not your ordinary bookmark. Every reader who uses these bookmarks will have an instant reminder of your business. Insightful and informative, these bookmarks bring added value to your customers. Union Printed, Certified USA Made "Euro Style" Twister Action Ballpoint Pen - White Barrel with Pink Trim & Breast Cancer Awareness Designed Foil on Top. A Perfect Giveaway Low Cost Promotion, Never a need to Shop for Closeouts. Available in Single or Assorted Colors. PROMOTE AWARENESS FOR CANCER, DIABETES, AUTISM, ETC. WITH SHAPED MAGNETS and keep your message in front of your clients. What are the key statistics about cancer? • After diseases of the heart, cancer is the second leading cause of death in the United States. Is expected on 1.658.370 new cases of cancer diagnosed in the year2015. • Through out life, about 1 in 2 men and 1 in 3 women in the United States will develop cancer. • Cancer rates and deaths have been declining since early 90's. Can Cancer Be Found Early or Controlled? Researchers have found changes (mutations) in genes can cause cancer. Some genetic changes can increase the probability of a person of cancer. People who are worried about cancer in his family should talk to your doctor. test. These tests can show if they have inherited any of these genetic changes. Genetics Counseling helps people decide if the test is suitable for them, as well as understand and deal with the results. place a healthy gene into the cancer cells. Scientists are studying cancer vaccines that can stop (or in some cases, prevent) certain types of cancer. Vaccines help the immune system to fight cancer. acting alone or with other drugs to reduce the risk of certain cancers. and physical activity, can prevent some types of cancer. medications can help control or cure the cancer once it has developed. Many diseases that affect the people these days, the cancer is among the most feared. But despite a wealth of scientific data, most people are still unaware of how they can reduce their risk of developing cancer. According to the national cancer Institute, as 80 percent of all cancers are due to the factors identified and therefore are potentially preventable. Thirty percent are due to tobacco use, and 35 to 50 per cent are due to food. It is easy to control these and other risk factors. Cancer is a term used for diseases in which abnormal cells divide without control and can invade other tissues. Cancer cells can spread to other parts of the body through the blood and lymph systems. Groups of these cells form tumors and invade healthy tissue, which often spreads to other parts of the body. Carcinogens are substances that promote the development of cancerous cells. It can come from food, air, or even from the inside of the body. More carcinogens are neutralized before that is susceptible to damage, but sometimes attack the genetic material of the cell (DNA) and alter it. Takes years for a tumor to develop sensitive. During this time, compounds known as inhibitors can keep growing cells. Some vitamins in plant foods are known to be inhibitors. Dietary fat, on the other hand, is known for being a promoter who helps the abnormal cells grow quickly. Cancer is not a disease but many diseases. There are more than 100 types of cancer. Cancer is not a single disease but a group of related diseases. Many things in our genes, our lifestyle and the environment that surrounds us can increase or decrease the risk of cancer. You can reduce the number of new cases of cancer and they can prevent many deaths by cancer. Research shows that you tests screening for cervical cancer and colorectal as recommended will help prevent these diseases by finding pre-cancerous lesions that can be treated before is cancerous. Cervical screening, colorectal, and breast cancers also helps to find these diseases at an early stage, when treatment works best. Concerned about cancer prevention? Be responsible for changes, such as eating a healthy diet and get regular screenings. You've probably heard conflicting reports on the prevention of cancer. Sometimes the specific point of prevention of cancer in a study or report is advised against another. In many cases, what is known about the cancer prevention continues to evolve. However, it is well accepted that your chances of developing cancer are affected by the lifestyle choices you make. So if you are concerned about the prevention of cancer, take comfort in the fact that some simple lifestyle changes can make a big difference. Consider these seven cancer prevention tips. Using any type of tobacco puts on collision courses with the cancer. Smoking has been associated with various types of cancer, including cancer of the lung, mouth, throat, larynx, pancreas, bladder, uterus and kidney neck. Chewing tobacco has been linked to cancer of the oral cavity and the pancreas. Even if you do not use tobacco, exposure to smoke can increase the risk of lung cancer. Avoiding tobacco, or deciding to stop using it, is one of the most important health decisions you can do. It is also an important part of cancer prevention. If you need help quitting, ask your doctor about smoking cessation products and other strategies to quit. Eat lots of fruits and vegetables. Base your diet on fruits, vegetables and other plant foods, such as whole grains and beans. Avoid obesity. Eat lighter and thinner by having fewer foods high in calories, including refined sugars and fats from animal sources. If you decide to drink alcohol, not only in moderation. The risk of several types of cancer, including cancer of the breast, colon, lung, kidney and liver, increases with the amount of alcohol to drink and the length of time that you've been taking regularly. In addition, women who consume a Mediterranean diet supplemented with oil extra virgin olive and mixed nuts may have a lower risk of breast cancer. The Mediterranean diet focuses primarily on plant foods, such as fruits and vegetables, whole grains, legumes and nuts. People who follow the Mediterranean diet choose healthy fats, such as olive oil, butter and fish instead of meat. Maintaining a healthy weight can reduce the risk of several types of cancer, including breast, prostate, lung, colon and kidney cancer. There is physical activity, also. In addition to helping you control your weight, physical activity alone could reduce the risk of breast cancer and colon cancer. Adults who participate in any amount of physical activity get some health benefits. But for important health benefits, they strive to get at least 150 minutes per week of moderate aerobic activity or 75 minutes of vigorous Aerobic physical activity per week. A combination of moderate and vigorous activity may also be done. As a general goal, include at least 30 minutes of physical activity into your daily routine, and if you can do more, better still. In 1970, British physician, Dennis Burkitt, noted that a high-fiber diet reduces diseases of the digestive tract. He noted that in countries where diets are high in fiber (i.e., plant-based diets), there were fewer cases of colon cancer. Around the world, this has proven to be true. Highest fiber intakes are in the non-industrialized nations where the meat is scarce and plant foods fill the menu. Products of animal origin do not contain any fiber. The United States and other Western nations whose diets are based on products of animal origin have higher rates of colon cancer. Although no one is sure exactly how fiber protects against diseases of the digestive tract, there are several possibilities. By definition, the fiber can not be digested by human beings in the digestive process. Move food more quickly through the intestines, helping to eliminate carcinogenic substances. It also draws water in the digestive tract. Water and fiber make stool more bulky, carcinogens are diluted. Bile acids are secreted in the intestine to help digest fats. There, the bacteria can change acids in chemicals that promote colon cancer. Fiber can bind with these bile acids and evict them from the intestines - also, the bacteria in the colon ferment fiber creating a more acidic environment that can make less toxic bile acids. The fiber is also protection against other forms of cancer. Studies have shown that stomach cancer and breast cancer are less common in fiber diets. Fiber affects the levels of estrogen in the body. Estrogens are normally secreted into the intestine, where fiber binds with the hormone and moves that outside the body without adequate fiber, estrogen can be reabsorbed from the intestine into the bloodstream. High levels of estrogen are linked to an increased risk of breast cancer. In the United States, the average daily fiber intake is 10 to 20 grams per day. Experts recommend 30 to 40 grams per day. The best sources of fiber are fruits, beans, peas, lentils, vegetables and whole grains. Foods that are closest to their natural state, unrefined and unpeeled, are higher in fiber. Cross-cultural studies have revealed that the populations with the highest levels of fat intake are also those who have higher death rates for breast and colon cancer. The lowest rates are in groups with the lowest consumption of fats. Help of migration studies to rule out the influence of genetics. Many studies indicate that the fat in food increases the risk of cancer, and may also affect the survival rates of breast cancer for those who have cancer. Although the total amount of fat you eat is of concern, there is evidence that animal fat is much more harmful than vegetable fat. A study found a 200 percent increase in breast cancer among those who consume beef or pork, five to six times a week. Dr. Sheila Bingham, how prominent cancer researcher Cambridge University, points out that the meat is more closely related to colon cancer than any other factor. Meat and milk are also linked to the prostate and ovarian cancers. Fat has many effects on the body. It increases the production of hormones and thus increases the risk of breast cancer. It also stimulates the production of bile acids, which have been linked to colon cancer. The average diet in the United States is about 37 per cent fat. The national cancer Institute suggests that people lower that percentage to 30 percent; However, studies have shown that fat intake should be very below 30 per cent have an effect against cancer. Ten to 15 per cent are more likely to be helpful. Not only are they vegetables low in fat and high in fiber, also contain many substances against cancer. Carotenoids, the pigment that gives fruits and vegetables their dark colors, have been shown to help prevent cancer. Beta-carotene, in dark green vegetables and yellow, helps to protect against lung cancer and may help prevent cancers of the bladder, mouth, larynx, esophagus, breast, and other types. Vegetables such as cabbage, broccoli, kale, turnips, cauliflower and Brussels sprouts contain flavones and indoles believed that activities in the fight against cancer. Vitamin C, which is found in citrus fruits and many vegetables, can reduce the risk of cancers of the esophagus and stomach. Vitamin C acts as an antioxidant, neutralizing carcinogenic chemicals that are formed in the body. It also blocks the conversion of nitrates cause cancer nitrosamines in the stomach. Selenium is found in whole grains and has the same effects of antioxidants like vitamin C and beta-carotene. Vitamin E also has this effect. Use caution in supplement of selenium, which is toxic in large doses. Excessive alcohol consumption increases the risk for cancers of the breast, mouth, pharynx and esophagus. When combined with smoking, greatly increase these risks. It also poses risks for the stomach, liver and colon cancers. All the evidence points to a diet low in fat, high fiber content which includes a variety of fruits, vegetables, whole grains and beans, as being the best for cancer prevention. Not in vain, vegetarians, whose diets easily meet these requirements, are at lower risk for cancer. Vegetarians have about half the risk of cancer of meat-eaters. Vegetarians have higher levels of beta carotene blood. Consuming more vitamin C, beta-carotene, indoles and fiber than carnivores. Also, vegetarians have stronger immune systems. Recently, German researchers found that vegetarians have more than twice the activity of natural killer cells of meat-eaters. natural killer cell are specialized white blood cells that attack and neutralize cancerous cells. In addition, vegetarians tend to eat more soy products than carnivores. Soy contains many substances which are anticancer, including Lignans and Phytoestrogens. A diet rich in soy may be one reason for the lower incidence of breast cancer in Asia. A cancer prevention diet is one that is high in fiber, low in fat (especially animal fat) and includes generous portions of fruits and vegetables. It also minimizes or excludes alcohol. The best diets are diets pure vegetarian. For your next event, use Kaeser & Blair and Prevention Promos, Inc. as your source for Cancer Prevention Products. We will design the artwork for your cancer prevention product for absolutely no charge! For health education programs, Breast Cancer Awareness Month activities, health fairs and more. Our dealers here at Prevention Promos and Kaeser & Blair can help you select the perfect promotional products or incentive for your next 5k run, health fair, or convention! 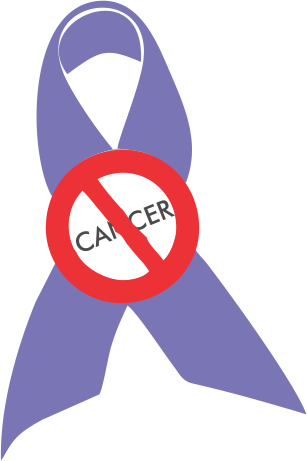 Increase awareness with our custom imprinted and branded cancer prevention products. We add your logo and text to every product listed, to see extra product detail just click the item you wish to view. 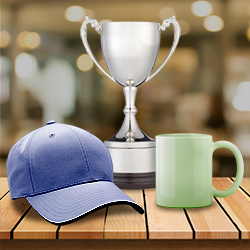 We provide thousands of different promotional products that we will add your educational message on, and we will convert your logo to printable vector format at no extra charge! Some of our current clients include the Wyoming Cancer Prevention Coalitions throughout Wyoming.